Hemisfério compartilhado 5 consists of a circular mirror onto which a hollow, wooden, geodesic hemisphere has been affixed. The mirror thus appears to bisect a complete and regular geodesic sphere, although only half of the object is physically present. Circular apertures on the hemisphere’s surface allow views into its interior and allow light from a bulb to shine through. 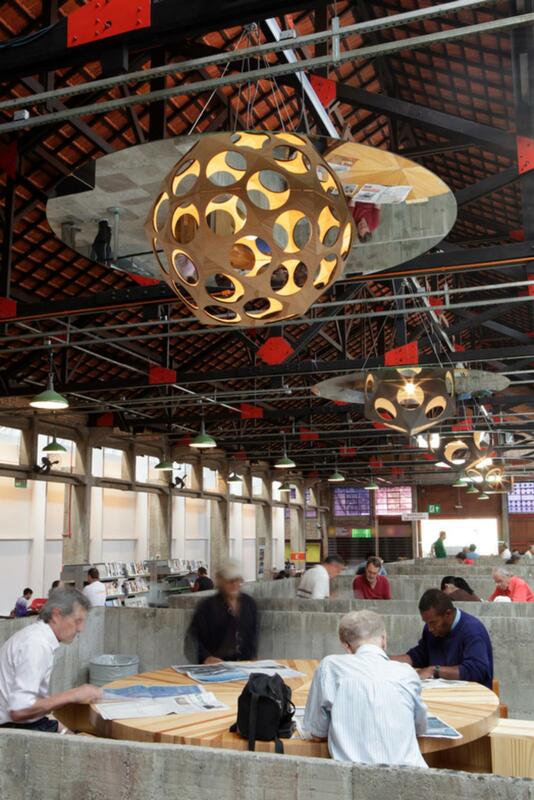 Originally conceived as part of a group of six conceptually similar but compositionally unique light installations that respond to reading bays in the community centre SESC Pompeia, the work takes cues from Lina Bo Bardi’s architecture while also exploring their own potential geometries.